by Ramesh Singh, McGraw Hill writer (Indian Economy), economist-essayist and columnist Yojana & Kurukshetra. as per the need felt by Ramesh Singh. Students will be sent one copy of the book Indian Economy (9th ed. McGraw-Hill) of Ramesh Singh (autographed) as a guide to handle the course. However, over 60% of the things discussed in the class videos are not there in the book (which is just not possible to write! ).﻿ All new materials given to the students of the Classroom course will be sent to the students of the Online course, too. Write essays, know your weaknesses & learn to write better essays! Some marks (known to us) of this course have been 164 (Akshat Garg, 245th Rank, CSE-2016) and 159 (Tapasya Parihar, 23rd Rank, CSE-2017). Essay is not only a game-changer but the most scoring paper in the Main Exam—for 250 marks one writes just two essays! However, majority of students take this paper very lightly—at least in their first attempt! Students’ main Weakness: Students underperform in this paper not due to lack of knowledge but due to lack of the right skill of essay writing—several fetch marks like 40, 50, 60…. (a self-created disaster)! “How to write Essay for IAS Exam?”: This Introductory Class aims to highlight the fundamentals of essay writing for the exam (suitable books & references are also given). This class will take place on June 7th, 2019 (2.30-4.30pm). Tests: Students will write a total of 16 Essays (in 8 Tests)—simulating the UPSC pattern touching all contemporary areas/issues. Right feedback to be given for further improvement (evaluation of the essays are done by Ramesh Singh himself). Depending upon the need students may be advised to write few more tests and get them evaluated. Discussions: In the post-test discussion sessions (which runs 3 hrs) the right format/framework of the essays are given. These sessions touch different dimensions of essay writing such as—conceptual clarity; opinion-making; tips on quotations; adding value with the current policies of the Government from Economic Surveys, Union Budgets, NITI Aayog, etc. Personalised interaction is allowed with Ramesh Singh. Book on Essay: One copy of the book of Ramesh Singh (Contemporary Essays, McGraw-Hill) will be given to the students to help them improve. Test & Discussion schedule:﻿ dates are to be announced. Click the icon given below to watch the FREE DEMO of Class 1. Online courses (GS Economics & Essay). NOTE: Email ID will be Login ID of the students while the Password will be sent within 24 hrs after fee deposit (admission to be confirmed the same day as fee is received). 1. Students will be able to watch every video 3 times (Desktop, Tablet, Mobile phone included). Closing the Browser is counted as one watch. 2. Session/Class can be paused but expires in 24 hrs. 3. 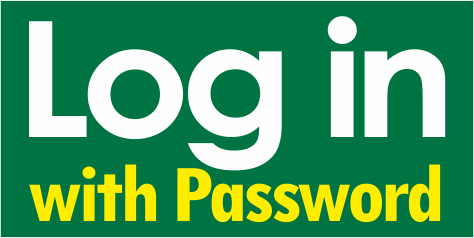 Videos will be active in student's account for the next 2 months from the date Password sent. 5. All new notes (if released) given to the Classroom course students will be sent to the students of Online courses, too. 6. Trests: Every week students will face a test (PT+Mains)- the same tests which classroom course students face. Model Answers will be sent of the questions asked in the mains Tests. Every year before Prelim Exam a set of 50 MCQs are made available to students relevant to the exam. 7. Students will be able to contact Ramesh Singh on his WhatsApp no. (9810-553368) & his Email ID (dr.rmsh@gmail.com). Note: Courses of Ramesh Singh run in a highly personalised way and he himself takes care of every task related to the courses- the reason his personal mobile number is being given to the students. Copyright 2014 Ramesh Singh. All rights reserved.